Primera semana de clases y viajes! On our first day of school, our host moms brought us to school by showing us how to take the public transportation, either by bus, train, or both. I took the bus to ULatina and then a train to Hospital Clinica Biblica where my two classes were held. I was so surprised that it took us an hour to get there. Other students took the bus from home all the way down to the last stop in downtown San Pedro and walked 15 minutes to get to Clinica Biblica. When everyone arrived, we took a tour of the hospital. I must say, it was very clean and beautiful. The two classes that are held in Clinica Biblica are “Health Care System in Latin American” taught by Iriana Chaves, RN and “Vulnerable Populations” taught by Dr. Garbanzo and Dr. Rojas. It was a great change of scene being taught by doctors and health care professionals. After those two classes, we had to take the bus back to ULatina where our third class is held. The third class is “Economics of Health Care”. Fortunately I took this class at Drexel already and I am taking an online class in replacement of that. I am taking a special topics class on the Affordable Care Act. On Tuesday, we went to our volunteer site. 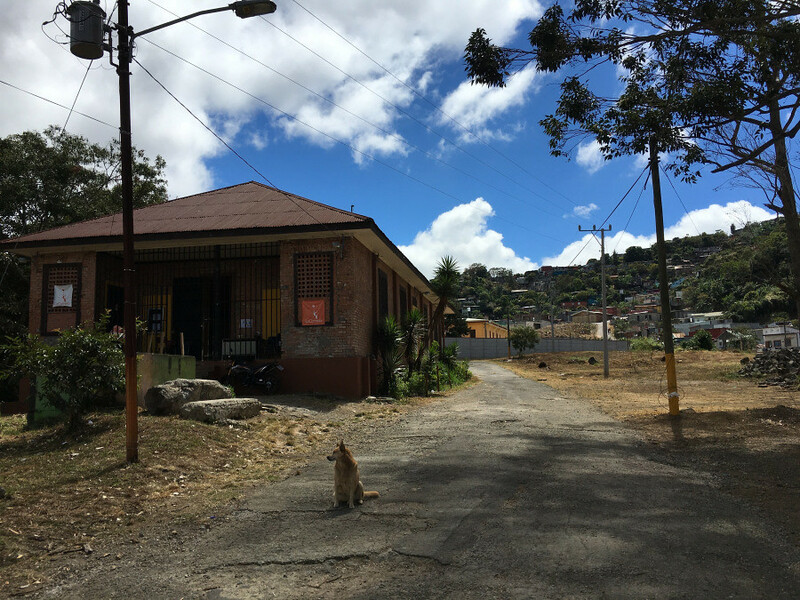 In my group, Mary, Marisa, Cam, and I went to La Cometa which is an organization geared to help families from low economic backgrounds to learn English and to develop their personal growth. Natalia, the coordinator, gave a tour of the community and it was very eye awaken seeing the way the families lived. The houses were poorly made, built with metal walls with cracks on every corner. My group and I are responsible for teaching 7-10 year olds English. After volunteering, we went back to ULatina to take our Spanish placement test, which included a oral and written test. Mondays and Wednesday are the same schedule, and Tuesdays and Thursdays are the same schedule. On Fridays, we have off. 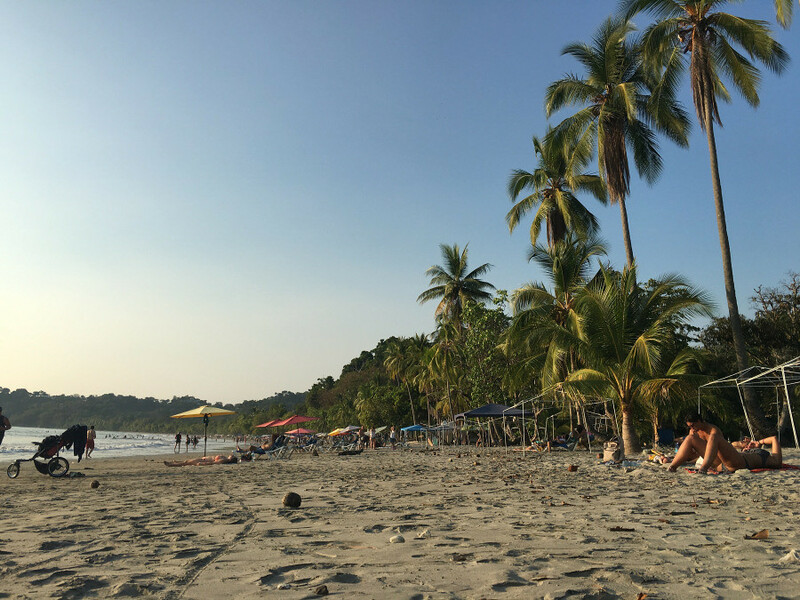 On our first weekend, we went to Manuel Antonio, a national park and beach. We stay at a hostel which was my first experience. We had to share 1 bathroom to a 17 bed room, more or less. I was shocked. The beach was beautiful and the water was warm, although I wish it would have been cooler because it was 90+ degrees at the beach! We also went on a boat that included a slide, dinner, open bar, and snorkeling. We also got to see dolphins. All night we went to the local bar and danced our night away. All in all, it was a great weekend.